Google search your ‘item’ and add the word wikipedia at the end. 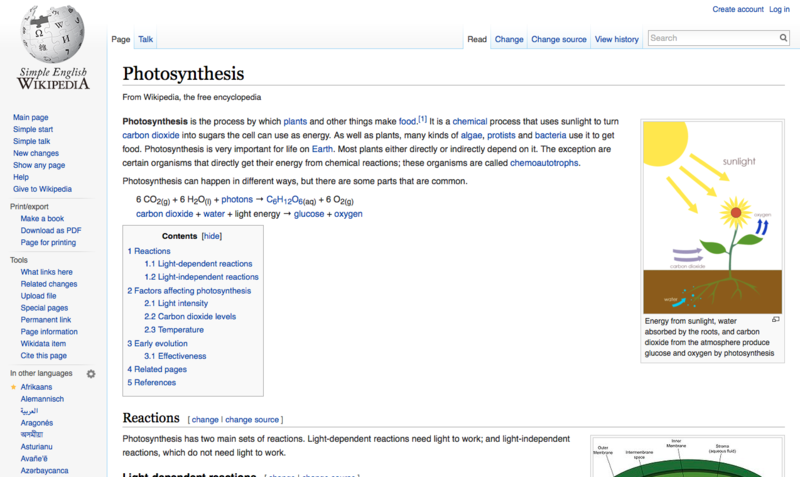 When you click on the link- https://en.wikipedia.org/wiki/Photosynthesis replace the en with the word simple and then hit refresh/enter- https://simple.wikipedia.org/wiki/Photosynthesis! You will now find a more simplified, maybe more accessible version of the information you requested! Use Google Search to get the right reading level resources for your students. Click here for more information!